Caitlin & Adam had a completely breath taking backyard wedding. Styled with a vintage theme and a splash of color, this wedding was completely laid back, and of course, absolutely gorgeous! Keeping with the backyard, laid back style, they even included their adorable dog, Hank. 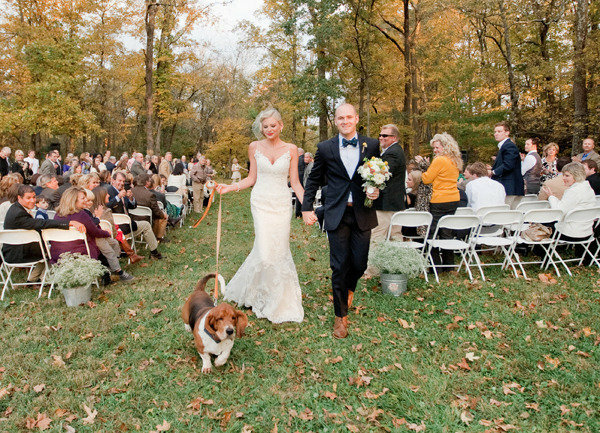 We absolutely love that they walked back down the aisle and included him in the big day! Check out more photos here.